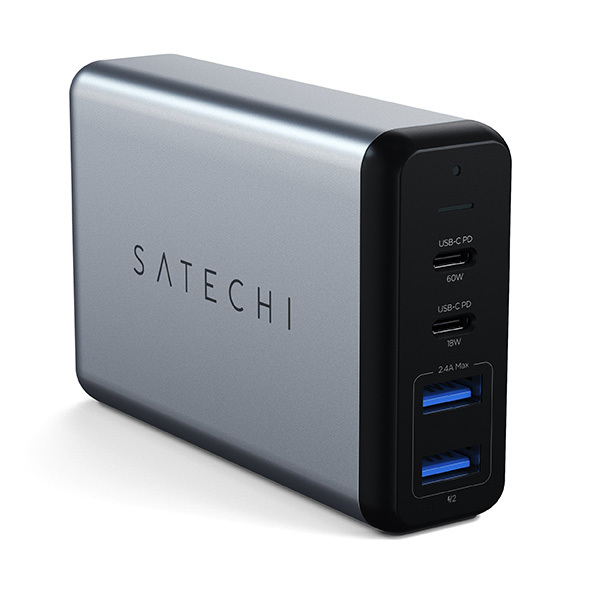 Accessory maker Satechi is already well known for its existing USB-C docks and such, and the company has taken advantage of the ongoing CES event to announce two new power adapters – one a dual-port charger and the other a four-port travel charger. Staring out with the former, the charger includes an 18W USB-C PD port as well as a standard 12W USB-A port. The charge is perfect for charging an iPad Pro. Anyone with the correct cables and an iPhone 8 or newer will also be able to fast-charge their phone using this wall charger. The USB-C-to-Lightning cables may not be inexpensive, but with one attached to this wall charger, you can expect to get an iPhone battery up to 50% capacity in around 30 minutes. Moving on to the travel charger, the unit features a 60W USB-C PD outlet to go along with an 18W one as well as two 12W USB-A ports. The inclusion of that 60W port makes this an ideal charger not only for the iPad Pro, but also the Nintendo Switch and any of Apple’s notebooks that can work with a 60W feed, such as the new MacBook Air. Both of these sound great to us. 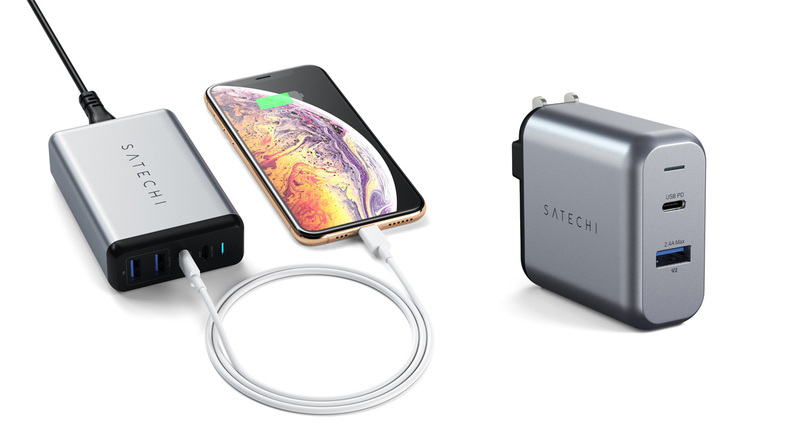 If you too are thinking of placing an order, the dual-port charger can be yours for $29.99 when it goes on sale on January 31st, while the four-port travel charger is available to ship in the next few days for $69.99. It’s worth noting that neither includes a charging cable, however, so you will need to shell out a few extra bucks if you don’t own one already.